The delicate frame of the Johansson is achieved with a skin of 3/8" lacquered aluminum encasing a cabinet constructed of highly polished wood veneer exteriors and solid wood interiors. Drawers have solid, metal pulls. 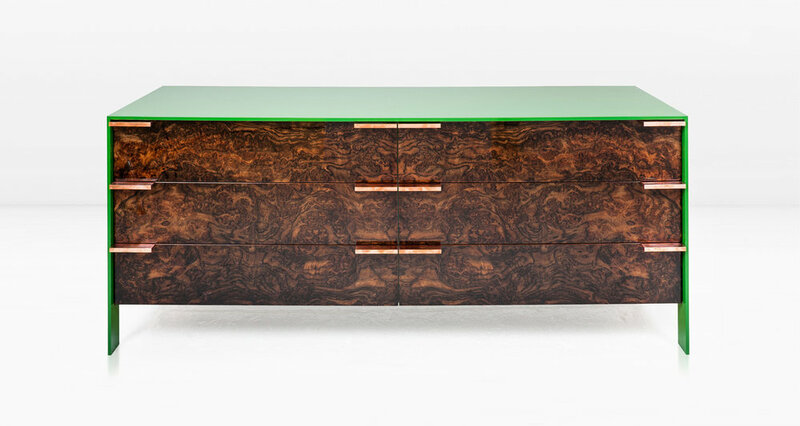 Like all KGBL cabinetry, this piece is finished on all sides allowing it to float in any room. 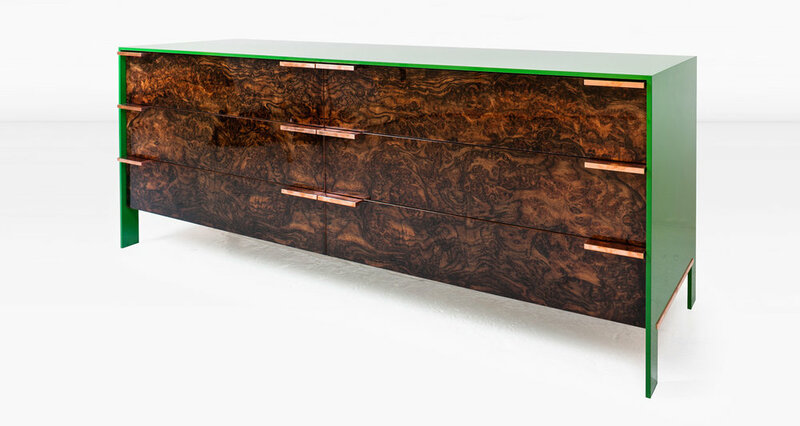 Shown in Walnut Burl with milled Copper pulls (last image shown with Nickel pulls). Available in Ziricote veneer as well as other metals and body colors. Also available in both door and/or drawer configurations.